We have the skills and resources needed to efficiently handle your townhome roofing project with minimal disruption. Any roofing project can be a complex task that requires the help of skilled, trained professionals, and that is never truer than when you need to install commercial roofing. Particularly if you are responsible for the maintenance of residential units such as townhomes, roofing replacements and repairs require careful planning, top-quality products, and timely, professional service. At NMC Exteriors, we’ve handled over 10,000 jobs across the Minneapolis region, and we have 20 years of experience in the industry—making it a quick, easy, and affordable process to get a new roof installed on your local townhome. NMC Exteriors is an award-winning Minneapolis townhomes roofing contractor, and we have the resources, experience, and products you can rely on to ensure that you get the most out of your investment. 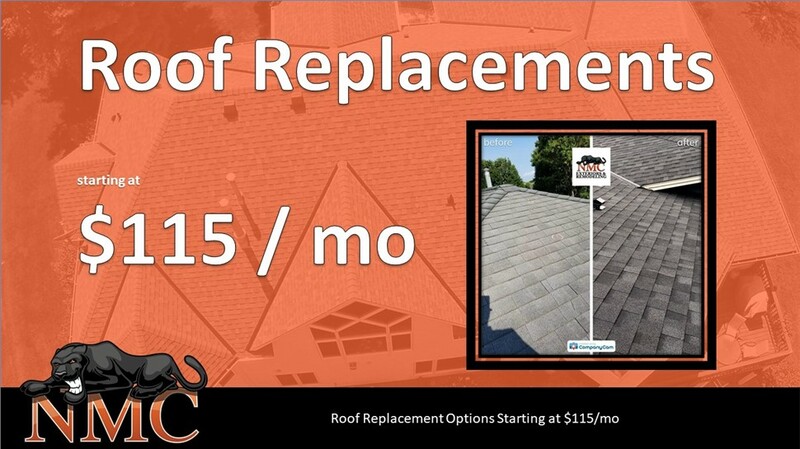 Our team understands that minimizing the impact on your tenants and keeping costs low are top priorities, whether you need repairs after a storm or a brand-new roof installed. Full-Service Solutions: Offering the best in quality roof repair, replacement, and installation, we can handle any scope of commercial roofing—from single townhomes to entire developments. Complete Reports: To get you started, we offer a full status report with a functional evaluation, including budgetary costs, to help you make the right choice for your property. Advanced Techniques: Using technology such as thermal imaging, our commercial roofing contractors can detect potential problem areas and make recommendations for enhancing the energy efficiency of the entire townhome property. High-Quality Roofing Products: By offering roofing systems from brands that you know and trust, we can guarantee superior quality, impressive curb appeal, and a roof that will hold up to the most extreme climate conditions. At NMC Exteriors, our motto is peace of mind since 1999, and we are the first choice across the area for delivering high-quality commercial roofing services that give your property the protection and curb appeal it deserves. Learn more about how we can get your townhome roof back to prime condition by calling or filling out our online form today, and we’ll get you started with an appointment for an NMC Assessment.